GNU Radio is perhaps the most important bit of any software defined radio toolchain. This is the software that provides signal processing blocks to implement software defined radios. 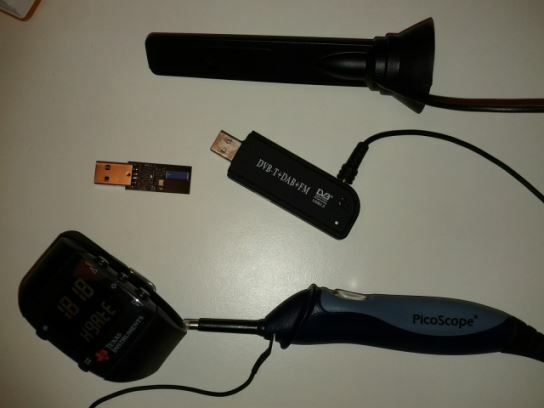 GNU radio is how you take a TV tuner USB dongle and pull images from satellites. You can use it for simulation, and GNU Radio is widely used by hobbyists, academics, and by people in industry. The Hack Chat starts on Friday August 31, 2018 at noon PDT. You can leave a comment for the Hack Chat now by leaving a comment on the event page. GRCon17 is the yearly convention all about GNU Radio and the talks are generally all about technical cutting edge developments in the software area of the SDR world. If you didn't already know, GNU Radio is an open source tool that makes implementing digital signal processing code significantly easier by providing a framework and several ready to use DSP blocks. It is an advanced tool used a lot in industry and research, but the visual nature of the blocks means that the basics can be easily learned in a few days. See Micheal Ossmans video tutorials for an excellent introduction. This year at GRCon17 there were multiple interesting talks, and over the last few days videos of them have been released on YouTube. Slides for each presentation are also available in the YouTube description boxes. 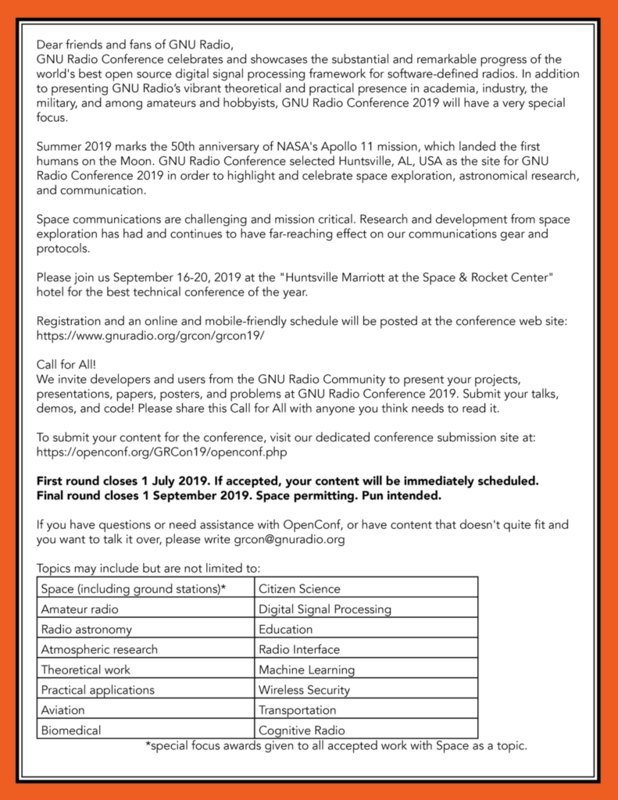 The full list of presentations can also be found on the Technical Processing page at GNURadio. A selection of our favorites videos are presented below, with several talks utilizing low cost RTL-SDRs as the core radio in the research. In this talk Wil Myrick discusses how he's been using low cost RTL-SDR dongles to perform beamforming experiments with GPS signals. In this talk Sam Whiting shows how he used two coherent RTL-SDR dongles running on on an Android phone for direction finding. At the end of the video he demonstrates his results. In this video Balint Seeber continues with his popular Hacking the Wireless World series of talks and this time talks about FMCW & Passive Radar and FPV decoding with SDRs. Yesterday Mike (ghostop14) submitted to us by email a document that gives an overview of his experiments on rewriting several GNU Radio blocks to take advantage of OpenCL GPU acceleration. High end discrete gaming GPU’s (Graphics Processing Unit) on PC’s are a very powerful parallel processors which can be significantly faster at performing calculations than the general purpose CPU. But only algorithms that can be parallelized are worth running on the GPU, and there is an additional overhead to pass the data between the CPU and GPU. This means that only some algorithms will actually work faster on the GPU. GPU acceleration could be part of the key to allowing very high bandwidth SDRs to run on PC’s. My idea seemed simple enough. Why not develop OpenCL versions of the most common blocks used in digital data processing? I may not hit my throughput goal but I bet I can really accelerate my flowgraphs. And since I can dream up whatever I want before I have to actually make it, why not make it even more scalable? Why not be able to take full advantage of multiple graphics cards in a system by being able to assign different blocks to run on different cards? I know, that’s a lot of questions, but sounds great if it existed right? What I didn’t realize was the scope of the box I was about to open. My first task at hand was to learn OpenCL and REALLY dig into the depths of the GNURadio code. Turns out not all signal processing algorithms lend themselves nicely to the way massively parallel processing works. And there’s a time price to pay to move data to a PCI card for processing then retrieve the results that has to be considered. Some native blocks take longer than this transfer time to run and can benefit from offloading, while others are so fast they’re done before a GPU even gets the data. But I’m getting ahead of myself here. 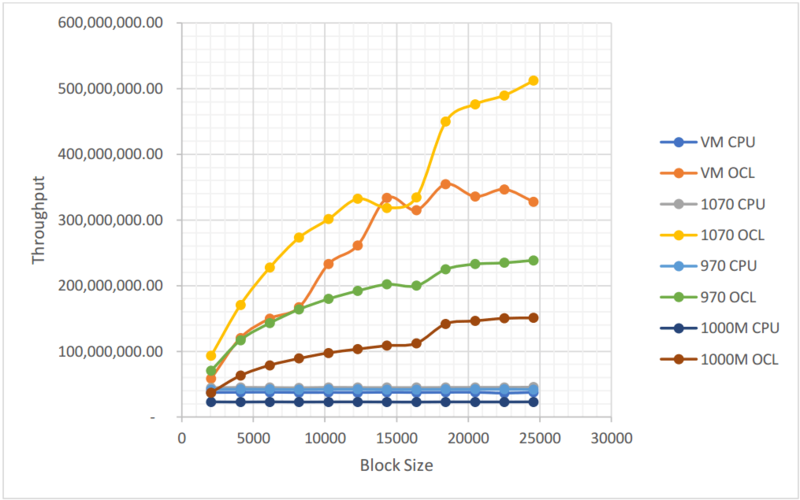 Throughput of the log10 GNU Radio block on various different GPU’s at different block sizes. Recently a new Linux based tool called RFTap has been released. RFTap acts as a bridge between GNURadio flow graphs and Wireshark. GNU Radio is a visual based programming environment for digital signal processing applications, such as RF signal decoders. GNURadio supports many different SDR’s including the RTL-SDR. Wireshark is a network packet analyzer/dissector that aides with troubleshooting and analysis of network protocols. RFTap also supports other DSP languages like Pothos, liquidsdr, LuaRadio as well as other packet analyzers like TShark, tcpdump, Scapy. The author has already released three RFTap tutorials/demos. The first shows how to decode Radio Data System (RDS) and use RFTap and Wireshark to dissect each packet. The second shows how to use RFTap and Wireshark to detect MAC spoofing on WiFi networks. For that tutorial you will need a more advanced SDR that can tune to the 5 GHz WiFi frequencies and receive the full WiFi bandwidth of 20 MHz. The third tutorial shows how to use RFTap to analyze Zigbee packets. Over on our Facebook page, member Александр has posted about a project he found by Georg Campana which involves using an RTL-SDR to capture signals from his TI Chronos watch which has a programmable 433 MHz RF transmitter built into it. Georg used his TI Chronos watch to transmit a signal copied from remote controls which are used to open his house gate, garage door, light switches and set his house alarm. When he discovered that the watch signal was not transmitting properly, he used his RTL-SDR to compare the signal coming from the watch to the original signals from the remote controls to help him with debugging. In order to detect the bit stream from the RF signal, he used a GNURadio program for decoding wireless temperature sensors, which he modified slightly to work with his watch.